For our final February weekly post about the Life Theme of RELATIONSHIPS, I invite you to consider how you might wish to have changed or to currently ‘tweak’ some aspect of a meaningful relationship in your life. With the divine gift of imagination, you are capable of effectively “re-visioning” your relationship events; past, present or future. It may help first to consider if there is a PATTERN about some of your relationships that you would choose to alter if you could. This is an active exercise; it is about what YOU CAN/ COULD have done differently–or would do differently today–that might have lead to some different results. Re-visioning a past event or situation can have a profound influence on your current disposition when it comes to actions or decisions you could be contemplating now, so that you can avoid pitfalls of the past. The strength of this exercise is that it brings your present awareness to bear either on a past situation or more mindfully upon a present set of circumstances. So do this with full exercise of your (re-)constructive imagination. Once you have identified a pattern you would wish to change and you have remembered a particular moment in a particular relationship which itself you feel you might/’should’ have enacted differently in retrospect, imagine yourself IN THAT MOMENT again. This time, change the conversation or the action knowingly, with the awareness you have since gained. Journal or internally dialogue with the other person in this relationship moment. Let him or her speak, and respond or initiate your own conversation as it could have been rather than as it was. Listen to the other person and see that they listen to and hear you deeply. Continue the scenario in your imagination until you bring it to a new level of resolution. As you emerge from your reverie, give yourself time to reflect on how the future might have been altered from this re-visioned exchange. I find that when I do this re-vision the past technique–and I have often as a life mapping tool (see right panel)–it really feels as if not just the memory of the event but the actual event itself HAS CHANGED. I feel less attachment afterwards to the initial triggering moment and better equipped to approach any similar situation in the present or future. So it’s Valentines month and we are exploring the RELATIONSHIPS Life Theme here at Better Endings. I had a post for Valentine’s Day but was sick with the stomach flu so am just going to let that one go by the wayside. Now that Valentine’s is over this current topic may be more appropriate: How to Mend a Broken Heart. Not that everyone needs this but Valentines Day (or week) allows us to reflect back on both the good and lasting loves of our life as well as the more difficult relationships that need our attention too. 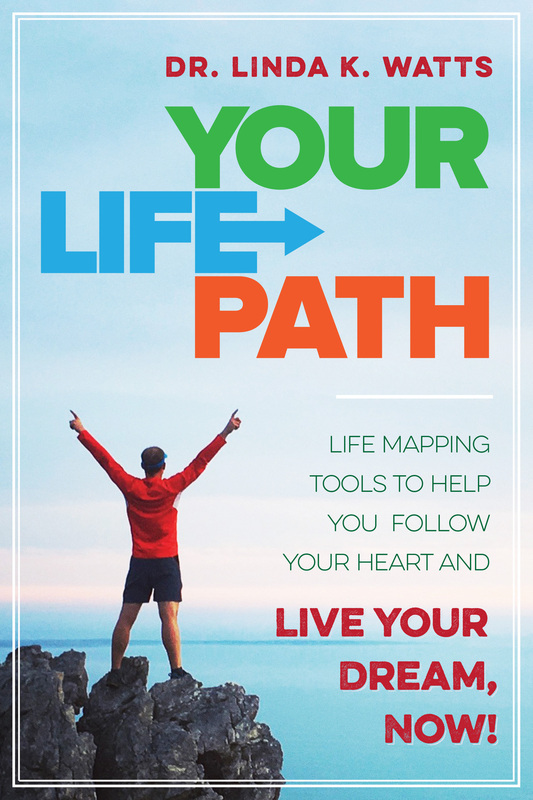 Life mapping involves a holistic embracing of your total Self and of your total Life Story, and we can learn often as much or more from past challenges as from our current success stories. Troubled relationships from our past (or present) can trouble us for a lifetime, if we let them. It is helpful to nurture yourself with regard to your pain and loss, to help heal these effectively so you can go forward with a more open heart. The Better Ending sort of story that comes up for me around this theme is a scene from the wonderful movie Steel Magnolias. When I first saw this film I cried for hours, starting in the theatre and continuing after it was over. It touched a deep chord for me about family and friends, along with pets my own closest relations. At the time I was (still am til this August) living far from my family, and this film reignited my love and sense of loss for being so far away. This is an amazing scene, beautifully acted of course by the amazing Sally Field along with Olivia Dukakis and Shirley MacClain. What I love about it is how expressive she is of her feelings. She doesn’t hold anything back! It is wonderful to purge ourselves when we feel grief. Let it out! Release your true feelings. Allow your pain to surface and flow forth into the universe. Scream out at God if you need to. Why DID this have to happen? What is left now? Healing requires Letting Go, as Elizabeth Kubler-Ross has written of so beautifully in her many books about Death and Dying. And you cannot Let Go until you come to terms with your loss and allow yourself to grieve. As we are exploring monthly topics around LIFE THEMES, threads of experience that carry a pattern of content, February seems a good time of year to focus on Romance or, more generally, Relationships. Certainly RELATIONSHIPS is a primary Life Theme for most people in one form or another (e.g. Family, Romance, Friends). Like all Life Themes, RELATIONSHIP threads that weave through one’s Life Chapters and Life Story can be uplifting, inhibiting, or even like a Roller Coaster ride when it comes to their pattern of influence and impact on our lives overall. Since Relationships are so ubiquitous in most of our lives, let’s take some time this month to focus on various sorts of relations. For myself at 63 and single some 15 years after a long string of romantic adventures, romance is honestly no longer an interest after too many strains of Ups and Downs in that arena. I would rather focus my own Relationships Theme around the wonderful connections I now enjoy with family, friends, and my dearly beloved pet companions, just two days ago reduced by one as I had to send on his Soul journey after 16 years with me my dear companion cat Loki, due to kidney disease. If I were to map my Relationship Theme (which I will invite you to do in the next post), just in recent weeks of my current Life Chapter it would reveal quite a ‘wild ride,’ mostly very positive despite dips or deep troughs of sadness and loss. My mother’s passing just two weeks ago tomorrow brought our whole family together for a blessedly very positive time of sharing and remembrances. We are strengthened by our unconditional love for one another, which brings great joy and gratitude. My relationship with my mother herself I feel is actually strengthened as I have been recalling to memory all of the wonderful ways she skillfully and lovingly parented me and imparted positive values in all five of her children and grandchildren. We gain so much from our close relations. We learn so much in a family of diverse Souls as in a community of friends and cross-species families, too!